“The tombstone of a relative of author Alex Haley was defaced in a cemetery in Savannah earlier this week, according to Savannah Police Chief Gary Will. 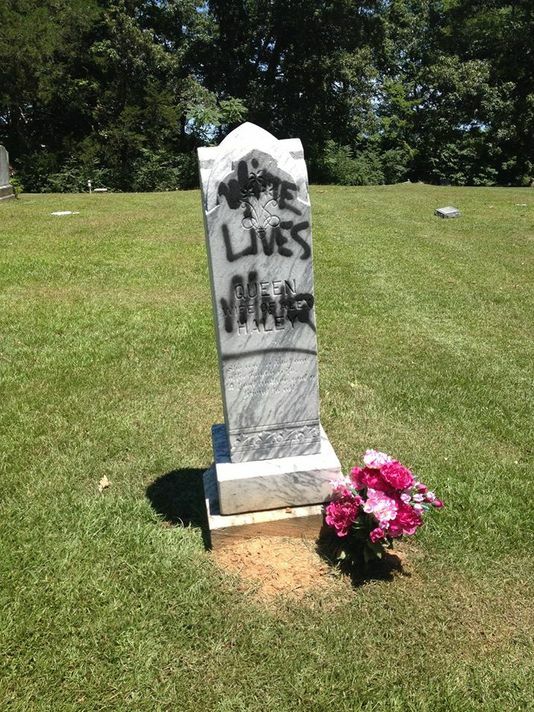 Will said Queen Haley, a black woman and grandmother of Alex Haley, author of ‘Roots,’ had “White Lives Matter” spray painted on her tombstone in the past two or three days (story reported August 3). According to Will, a professional cleaning company has been hired by the cemetery to clean the paint. They will clean it sometime this week and will add a protective coating so that if the tombstone is painted again it will come right off, he said. Will asked residents to respect the family’s privacy and to not try to clean the stone themselves. Read more at The Jackson Sun.